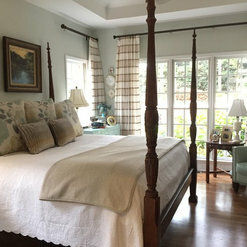 I contacted Karen with a project to make a King duvet cover, window treatments and coordinating pillows and shams for our master bedroom and bath. I met with her at her workroom and she was extremely helpful in helping me pick out and coordinate fabric selections. She got to work on the project and did keep me posted on progress along the way. I was really excited for the "big day" when she and her partner came to install everything. All I did was walk in the room and it was all done! Suffice it to say that I was just thrilled at how beautiful everything turned out. The quality of the workmanship is absolutely top-notch and I wouldn't hesitate to call her again for my next project. Thanks so much, Karen, for all your hard work. We are so happy with how it all turned out! Karen and her team are top notch! We use them for all of our fabric needs! 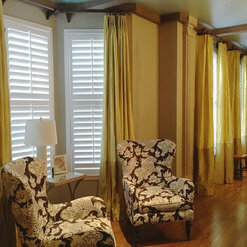 Karen is ready for any project we through at her from custom boat bunkbeds to the most fabulous drapes we have ever seen! Karen is such a delight to work with with some serious talent! 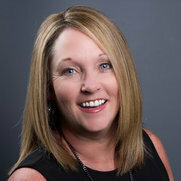 I enjoyed working with Karen. 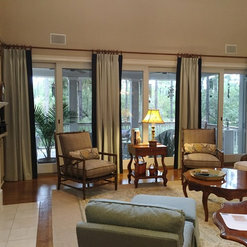 She gave me lots of ideas and options, is very knowledgeable about window treatments, and installed them on six windows beautifully. 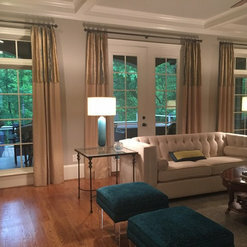 Vicky, I'm glad you found me on Houzz and it was a pleasure working with you. Hope you get settled in you your new home and town and enjoy the south. Karen was a class act from the moment of our first phone conversation to my final installment. 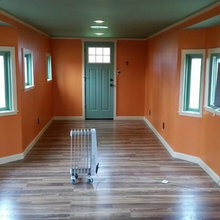 We were new to the area and I am a houzz.com fan so I found her there. 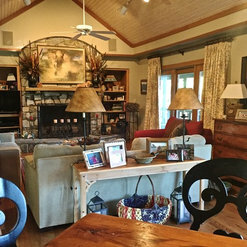 Karen was able to rework the fabric that I originally had made for my home in Houston as well as make new cornice boards for my family room. Karen is a designer that really listens to the customer and her work is beyond perfection. We are so pleased with the results! Even my husband frequently comments on how good they look! 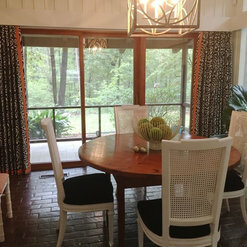 Angela, It was a pleasure working with you and especially using the TX panel fabric combined with new fabric to make 6 panels for your living room. I love it when we can repurpose items. Karen has been a delight to work with! So professional and everything she has made for me is just perfect. Looking forward to our next project!!! Jane, Thank you for the review back in November. 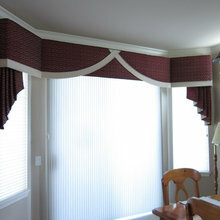 I'm so glad you have contacted me for romans shades and now for an upholstered headboard. It's always great working with you. 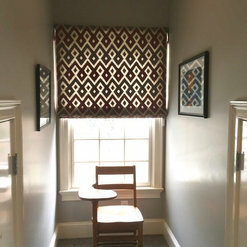 Karen and her team recently made a bench seat cushion, window valances, and pillows for my kitchen. I could not be more pleased with the quality of her work. She was very professional and efficient and even came to my house to install everything. 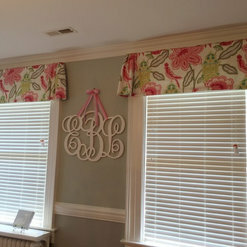 They are highly qualified for both small and large projects and I found her prices to be competitive. I would highly recommend them and look forward to using them in the future. The ladies of the Fabricsmith have been nothing short of amazing to work with. As a designer, I use them for anything and everything fabric related. No matter what kind of curve ball crazy design idea I come up with, Karen and her team make it happen! I have work with The Fabricsmith on countless projects over the past year and a half and have been 100% happy every single time. 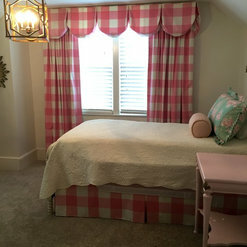 Karen created window treatments for my dining room, my husband's office, and my daughter's bedroom. 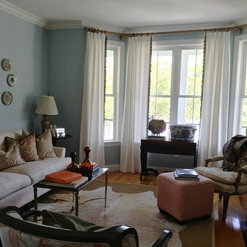 She also recovered two window seats and made a myriad of throw pillows for my great room. She installed everything and helped me choose a variety of wonderful hardware. Karen delivers on timelines and is thoroughly knowledgeable. She is easy to work with...and no project overwhelms her. She thrives on challenges. 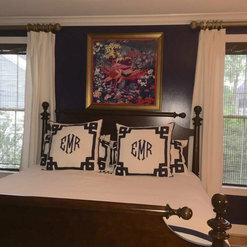 Commented: What color are the wallsSilver Blue by Banjamin Moore, but the client took the color to Lowes and used a Valspar paint. Don't know if that changes the hue of the paint since it isn't BM. Hope that helps.